Q1: Your first book on distributor management was an instant hit and even became a best-seller. You’re now launching a new book. Why on key account management? A: Many executives of companies who attended my key account management (KAM) seminars viewed key account management as a critical process to manage their relationships with strategically important customers. They are realizing more than ever the urgent need for radical changes in their customer management approaches that gets them functioning effectively and profitably. However, many of their KAM approaches failed because of the view that it is about selling products to big customers who demand more price discounts and supports. I wrote this book to emphasize to entrepreneurs and corporate executives that KAM is a strategy and to provide an operational framework to guide the key account person towards a more effective management of strategic customers. Q2: Why should entrepreneurs employ key account management as a strategy to build their business and relationships with their most important customers? A: Most entrepreneurs tend to acquire and acquire more customers in the hope of growing their business. More customers do not correlate with more sales and profit. Likewise, some have a mistaken notion that big customers are key accounts. Not all your key accounts today are key accounts. Some of them may even be eroding instead of adding value to your business. Consider some of your biggest customers today — Are they really bringing more profitable sales revenue than your other accounts? Do they help build your brand? Do they treat you as a real business partner? How we define key accounts will affect our customer investment decisions and set the context for all other elements in customer management. Should we continue to invest in accounts with the lowest returns? Should we allocate our investments to accounts with the highest potential returns or customer lifetime value? Who then should be a key account? A key account is a customer whom you have chosen to invest the bigger share of your resources (i.e. time, people, money, and/or energy) in on the belief that this customer will help you achieve your long-term business objectives. Key Account Management is a strategy employed by the company to develop more collaborative, sustainable and profitable relationships with its strategic customers. The definition suggests that key account management is a strategy, and strategy is a choice or series of choices. You can choose to acquire more customers, expand coverage, or focus on few yet high-impact accounts you perceive to be the best route to achieving your long-term business ambitions. 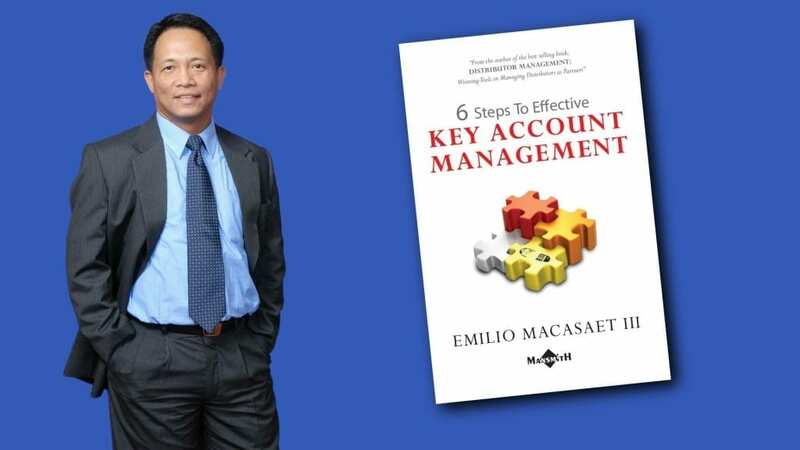 Q3: What are the steps to effective key account management that we can find in this book? 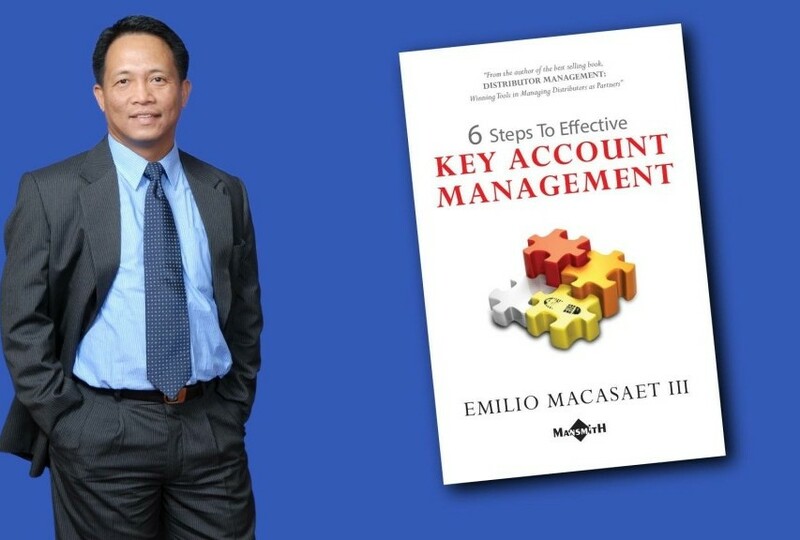 A: This book sets out to provide a practical guide that brings together the six fundamental elements (segmentation and selection, investigation and understanding of needs, development of a value-based account plan, agreement and alignment, plan execution, and evaluation) in managing key accounts. As it goes through each step, it takes the reader, who is primarily a key account manager, through a structured procedure to effective key account management. KAM selling demands discipline, consistency, and a sense of purpose. It requires the key account manager to use a systematic approach to growing and retaining strategic customers. Success is also dependent on the key account manager’s ability to find the right support and drive alignment within the organization. This is almost a sales manual. Operational frameworks, real-life case examples, Q & As with experts from both the supplier and customer sides, learning and application guides, tables and templates are designed to help the key account manager grasp and immediately apply most of the principles and tools discussed in this book. Q4: Is the framework in this book applicable to most industries? A: Most of the illustrations used in this book come from best practices of fast-moving consumer goods (FMCG) companies. This is intentional because KAM was born and raised in the world of FMCG. Due to advances in KAM practices by FMCG companies, many companies from other industries like B2B (business to business) realized that KAM might also be for them. And they are right. While selling to most B2B settings could be very different from selling to a supermarket, the framework taught in this book is designed to be useful and applicable even to their environments.